Physiological or biological stress is an organism's response to a stressor such as an environmental condition. Stress is the body's natural method of reacting to a challenge. Stimuli that alter an organism's environment are responded to by multiple systems in the body. Through triggering these adaptive responses, stress can alter memory functions, reward, immune function, metabolism and susceptibility to diseases. Too much stress can lead to exhaustion. The perception of stress releases corticotropin releasing hormone (CRH) in the brain. This signals the pituitary gland, also in the brain, to release adrenocorticotropin hormone (ACTH), which enters the blood stream and diffuses throughout the body. The adrenal glands, which sit atop each kidney, release cortisol in response to circulating ACTH. 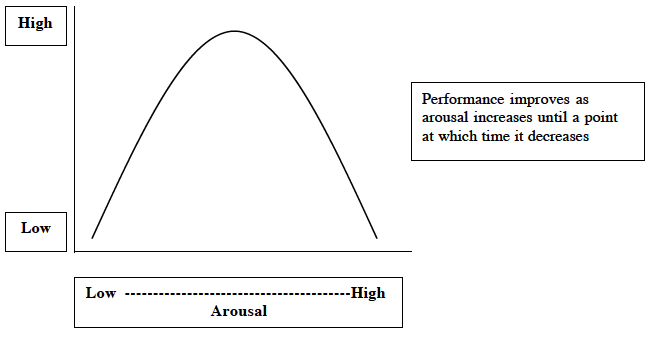 The dogma for a long time was that to achieve maximal performance, an intermediate level of stress is required - as represented by te Yerkes-Dodson curve. However, it is now known that performance, and its relationship with stress, depends on each individual and what task is being performed. Most simply, high energy tasks such as athletic performance, require higher levels of stress signaling to achieve peak performance. On the other hand, tasks requiring sustained attention and fine manipulations generally require lower degrees of stress activation for maximal performance. How can the effects of Stress be modulated? The link between stress and disease is high. While in many cases, it is equivocal whether the disease is resulting in increased stress, or whether the stress is resulting in disease, the psychological effects of stress and its relationship with mental and physical performance are clear. While work is needed to understand individual responses to stressful situations, it is likely that stress reduction can be a positive step for many people - both from the perspective of reducing psychological burden, and to optimize performance. In particular, many individuals engage in occupations where quiet, stationary productivity are much more valued than athletic activity; so reducing stress levels to optimize concentration in these situations can be a huge enhancement to daily life for many people. There are a variety of strategies to tackle stress reduction, from nootropics, to behavioral modifications. Many psychiatric medications are very effective at combat stress (antipsychotics, antidepressants), but have extreme side effects, such as weight gain and potentially increased cardiovascular and metabolic risk. Natural compounds/nootropics with anti-stress effects may be an effective method by which we can tamp down the mental and physical effects of these everyday stressors. Measures of stress were taken during a stressful arithmetic task in four groups: control, placebo, and two L-theanine groups. A. The subjective feeling of stress was reduced by L-theanine during the task (as compared to placebo). B. Salivary α-amylase (a biomarker for stress) was reduced in the theanine groups as compared to placebo. C. Heart rate variability (increased heart rate variability is a marker of stress) was reduced in comparison to placebo. Rhodiola rosea has been shown to reduce measures of stress. 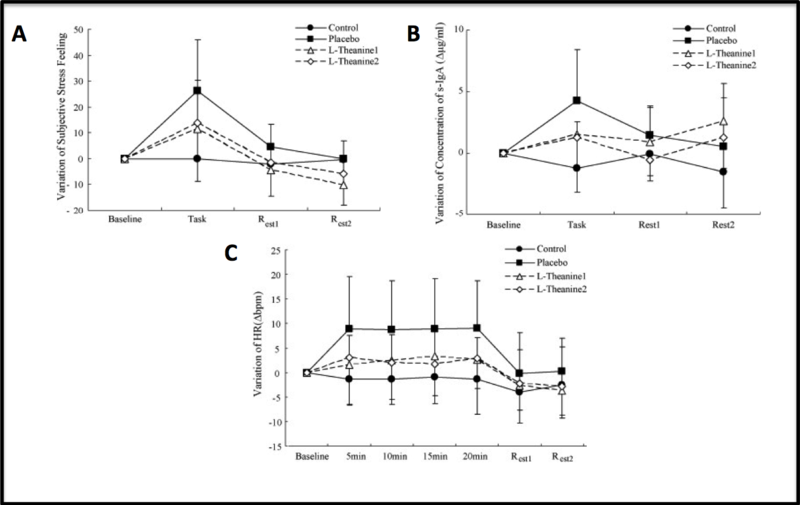 In one study, fatigue in students during an examination period, in particular, physical fitness, mental fatigue, and self-reported well-being were improved by rhodiola.8In a 2008 double-blind, placebo-controlled trial, it was shown that morning salivary cortisol (an HPA axis measure of stress), is reduced after 28 days of rhodiola consumption, in patients with diagnosed fatigue syndrome. Pomara, N., Greenberg, W. M., Branford, M. D., & Doraiswamy, P. M. (2003). Therapeutic implications of HPA axis abnormalities in Alzheimer's disease: review and update. Psychopharmacol Bull, 37(2), 120-134. Rosmond, R., & Bjorntorp, P. (2000). The hypothalamic-pituitary-adrenal axis activity as a predictor of cardiovascular disease, type 2 diabetes and stroke. J Intern Med, 247(2), 188-197.